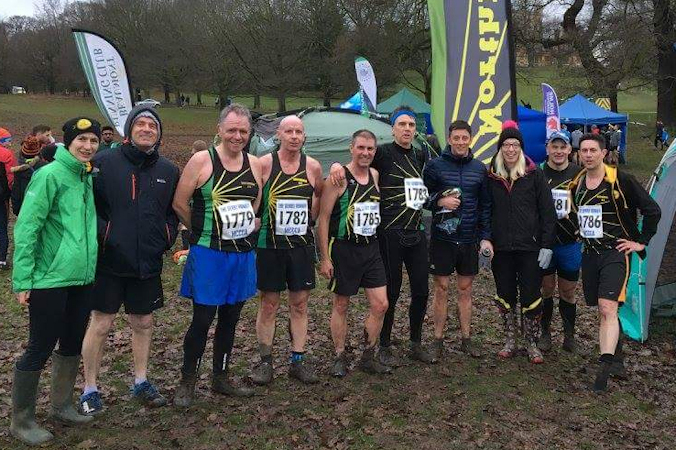 Twelve Northbrookers headed to Wollaton Park in cold and wet conditions. What we did not expect was how tough this course was going to be. There were 3 steep inclines per lap, 2 log jumps and a very squishy, sucky, stinking piece of bog ground that went on for what like seemed forever. 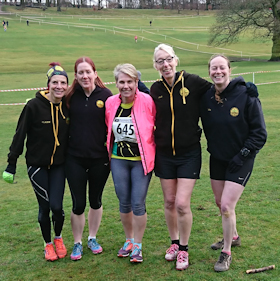 Unfortunately we didn’t have enough women to complete a team but that did not put them off as they showed the men how to do it. Great runs by all 3 in those conditions. League Race 3 at Cofton Park came round with great excitement. We hoped for a good result on a tough course in cold conditions. That meant plenty of racing short shorts and vests out with the men. 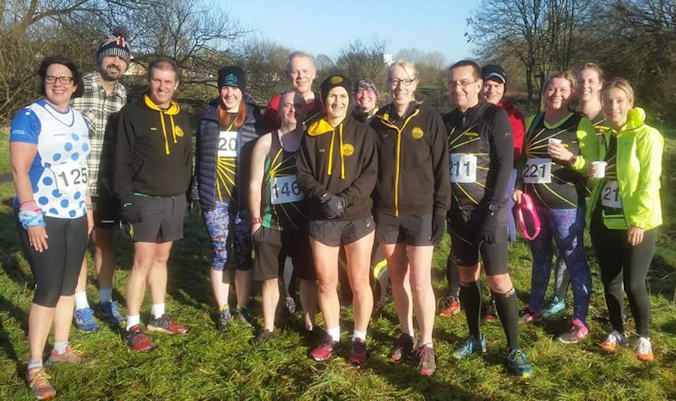 We had a great turnout with some of our more experienced members back to bolster the ranks, and supporters all the way round the course. The field was again fast, breathtakingly fast till the first climb, and then once it settled the downhills gave us the break from the climbs. The finish was even faster than the start with full blown sprinting for those vital points. Overall a great performance by the team who gave everything out on the course to give us our best performance season to date. Great battles were witnessed by our jubilant and very vocal supporters right through the field. 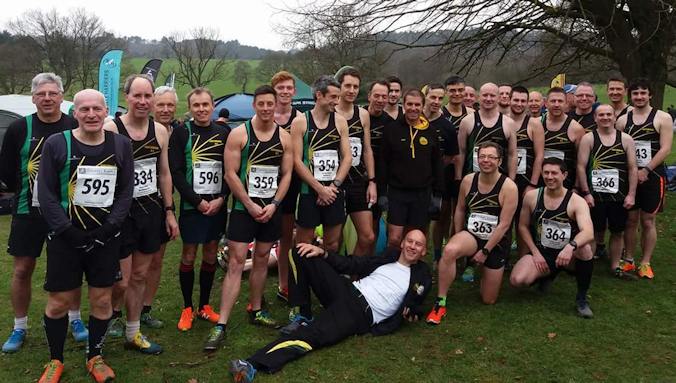 Eighteen Northbrookers headed to the Warwickshire championships to represent the club and fly the sunburst over the field. The course was not as wet as feared but still had one climb on it per lap. The weather was dry but with a bitter cold wind it meant we had to run harder to stay warm. The fields in both the men’s and the women’s events were strong and fast, breathtakingly fast for the men’s first mile. The women went first to show us men how to do it; they had a great run with some really good battles between themselves and other clubs. 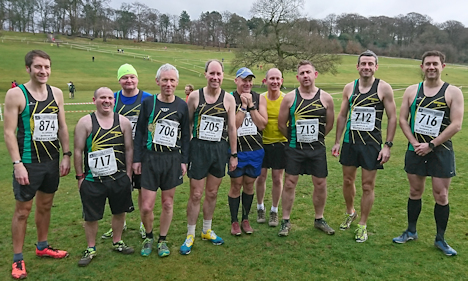 Great support from the men to rally the women on gave them an 8th team place on the day in the Masters category – top Coventry club. in great performances and some truly epic battles taking place between clubmates and other clubs. One of the most competitive races we have been in for a while.